Although 1027 m high, not very pronounced hill on the main ridge situated near the Jirásek touristic path. Stone and dwarf pines were pant up here when building touring hotel. 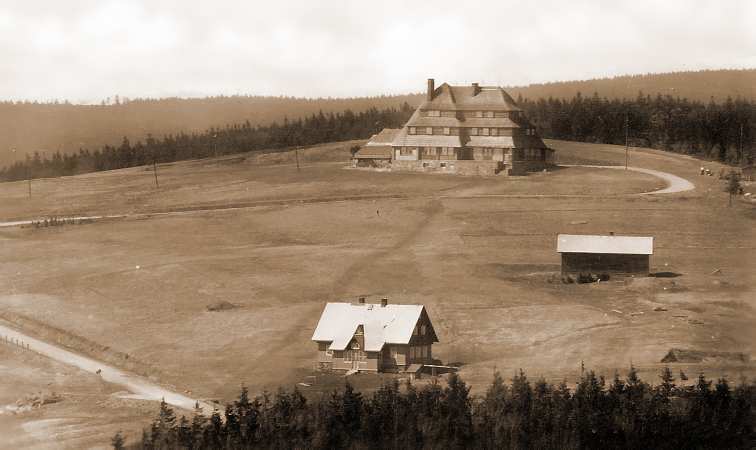 The ridge top with favourite Masaryk chalet and recreation lodges spread out over mountain meadow belongs to the most visited locations. Years before, probably end 17th or beginning 18th century, an upland colony was erected here by bushwhacker and coalmen, titled Scherlich graben according to Sommer´s topography in 1836. In 1844 there were 10 timbered hutches and in one of them (No. 318) during winter times there was a school classroom. In summer children used to visit school in Deštné. Ancient folks lived upon logging, weaving and pasturage, smuggling saccharin, textile tissues and petroleum besides. Shopping took place in Grunwald (today Zielenec, Poland). Masaryk* chalet - has been erected by the Czech Touring Club - Hradec Králové by design of B.Fuchs. Building materials were prepared at Šerlišský Mill, the roof was covered by shingle. The headstone was insert on June 14th 1924 and opening for the public passed on September 27th 1925 with participation of Alois Jirásek. 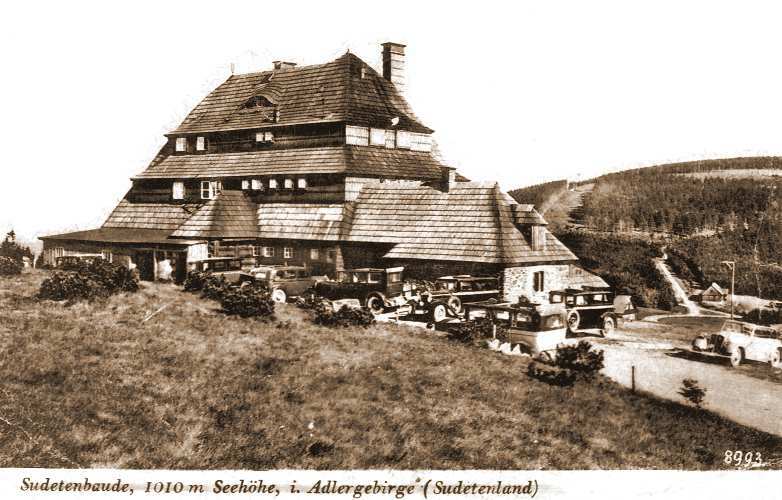 Shortly after that, a nice new chalet on the Prussian territory near the border called Hindenburg´s was started. Czechs called it Sulkyhutch by jeer as it was intended to compete Masaryk chalet; burnt out in 1945. 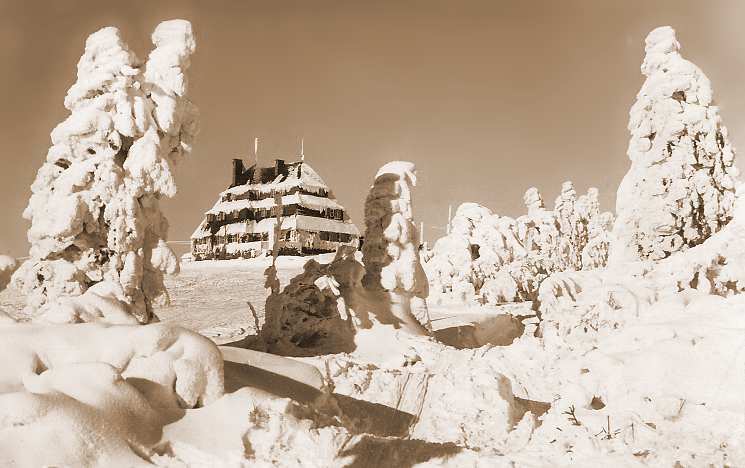 During 1932-35 touristic marking form Hradec Králové to the Masaryk chalet was provided and in 1935 meteorological station was established here. In front of the building a bust of President T.G.Masaryk was erected by Leo Kubík. 21. 9. 1938 Freikorps brown shirts invaded at the chalet but fortunately their attempt to fire it was not successful. Beginning October 1938 after evacuation and German occupation Nazi- bosses and wounded pilots relaxed here, later a Hitlerjugend centre was lodged there. The chalet was re-named after Adolf Hitler. After liberation by the Soviet Army May 10th 1945 the original name was returned but only with a short duration. Up to 1968 it was just no-name "Czech gym union chalet". Another couple of renaming farces occurred accordingly to political flip-flops and finally since 1990 it caries the Masaryk´s name again. The presidential bust shared the same destiny with the name. Ancient (1636 year) landmark stone you may find near the chalet. 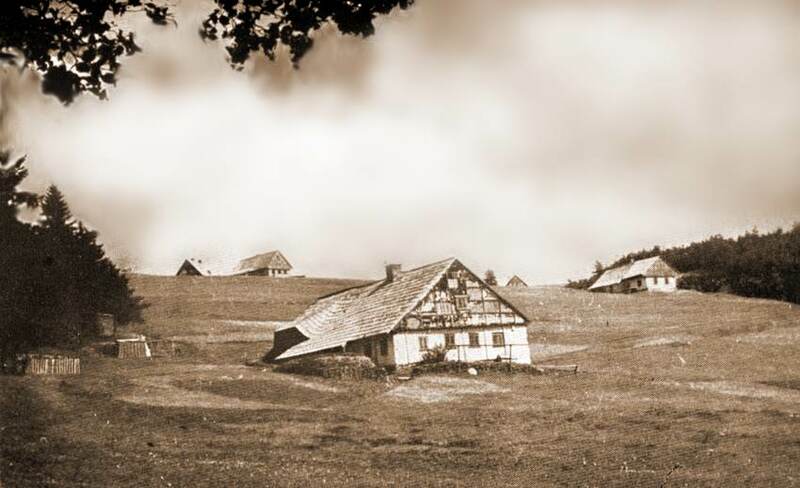 From the upland route connecting hotel Orlice in Deštné Zákoutí with Masaryk chalet (built in 1935) a branch has been built in 1974 to Divoká Orlice valley - Bedřichovka going next to Trčkov or Bartošovice, Čihák and Mladkov. *Tomáš Garrigue Masaryk (1850-1936) - philosopher, university professor, constitutor of the Czech state in 1918 and the prime President.